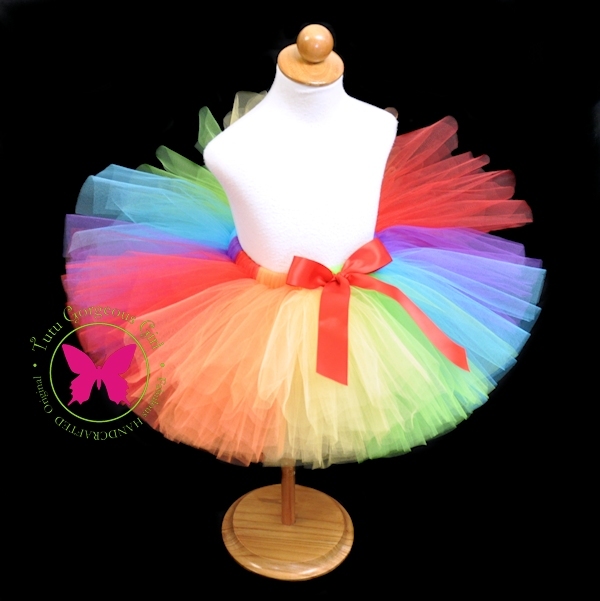 Colorful rainbow birthday tutu for baby, girls and women. Girl's fun and colorful rainbow birthday tutu. 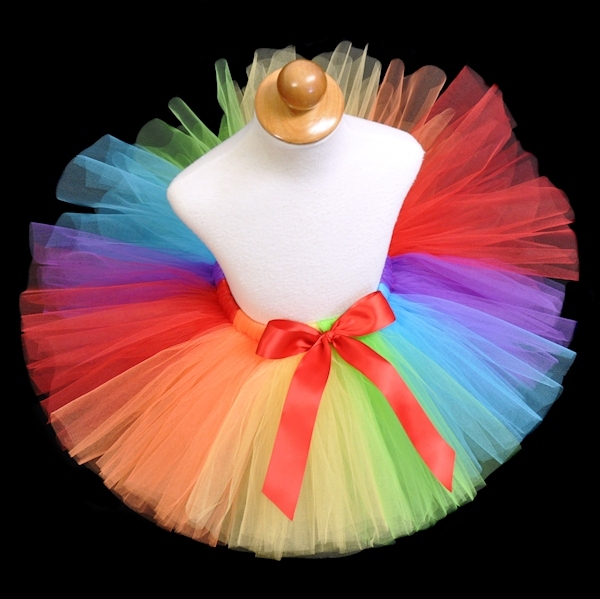 Perfect for a first birthday tutu, cake smash tutu, Halloween clown tutu or dance recital. Tutu includes a satin bow at the waist and optional flower clip and stretch headband.